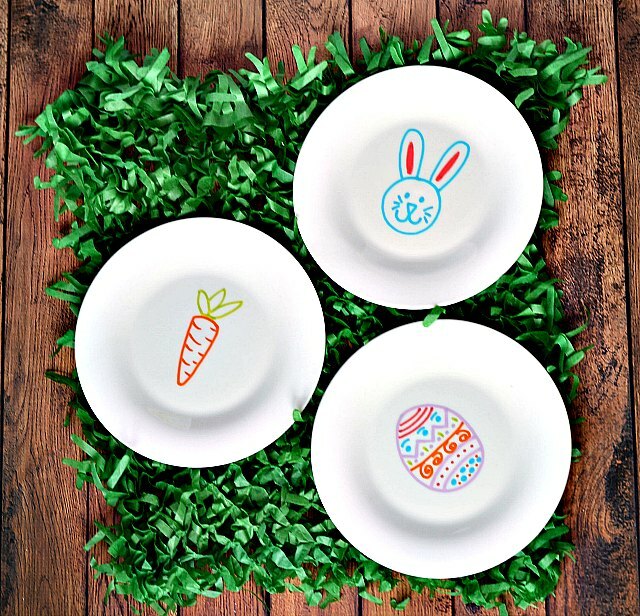 Decorate your Easter table with hand-painted Easter plates. This quick and easy Easter craft is great for the whole family. I kind of feel bad for Easter. Everyone spends so much time and energy decorating for Christmas and Easter often gets short changed. So I've been working this year to add some fun Easter crafts we can all use to decorate our homes for spring. 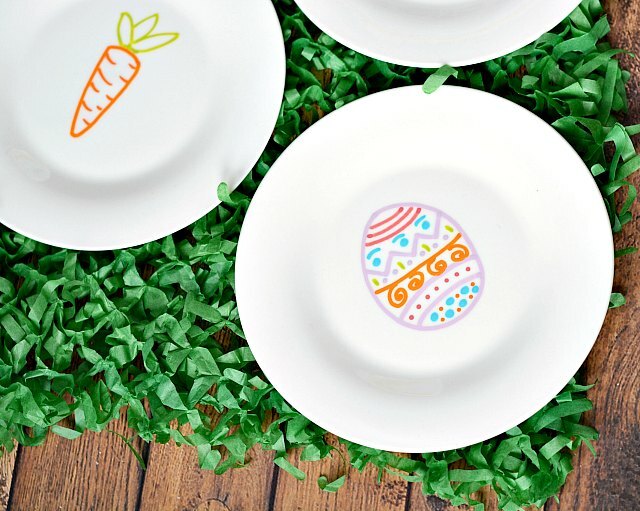 I love these Easter plates because they are so easy to make. 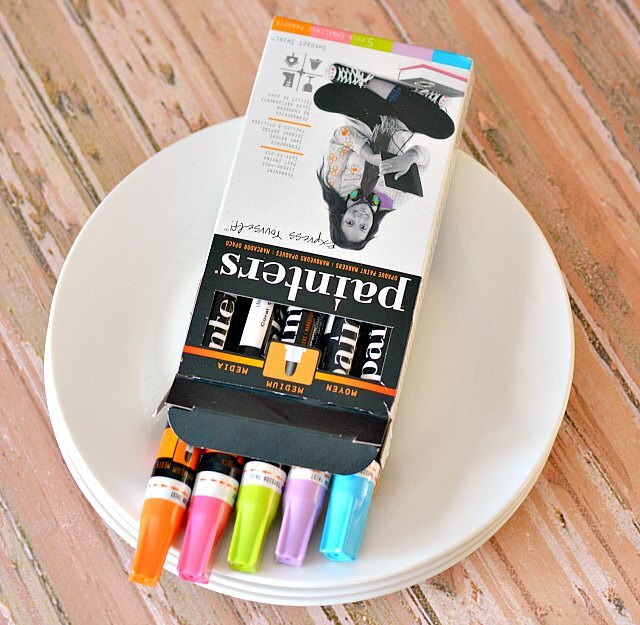 All you need are paint markers and inexpensive small white plates. 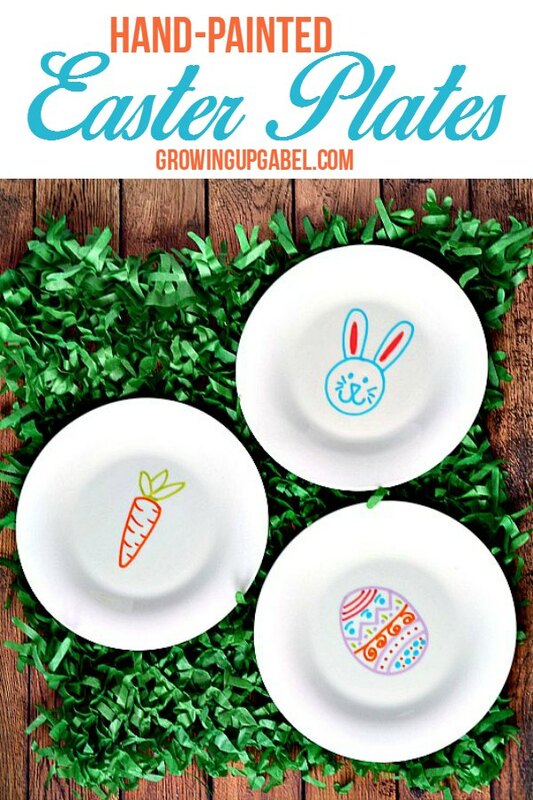 The Easter designs on these plates were done free hand, but if you are a little less art inclined, then use a fun Easter stencil. You can cut a stencil with a Silhouette machine, which is super easy. Or you can use these free Easter templates. Dampen paper towel with rubbing alcohol and wipe down your plates. Dry completely. This steps helps to remove any oils. Follow the directions on your paint pens to get them flowing. 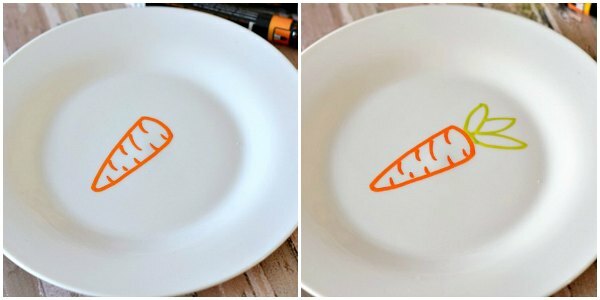 Use your paint pens to draw designs onto your plates. When using multiple colors and colors that touch, allow one color to dry before adding the next. If you make a mistake, quickly wipe away with paper towel, clean plate with alcohol and begin drawing again. Let your plates dry completely and place onto a cookie sheet and into the oven. Heat the oven to 375 degrees and bake the plates for 30 minutes. When complete, turn off the oven and leave the plates inside to cool down. When the plates have finished curing they are ready to use. Please note that the Easter plates are hand wash only unless your paint markers say otherwise. These are awful cute and perfect for Easter! 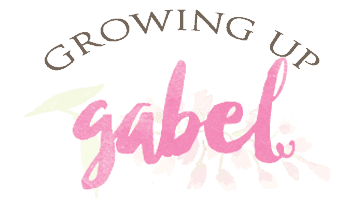 Thanks for sharing on our Throwback Thursday link party last week and I can’t wait to see what you have for us this Thursday! Your plates have turned out so cute,I love this idea, great inspiration for other times as well. 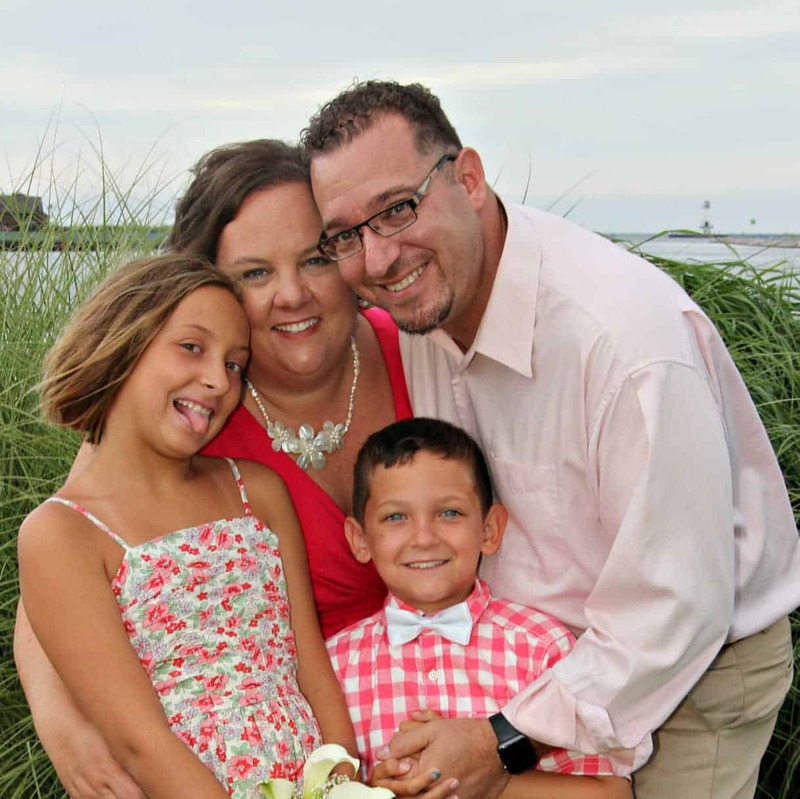 Christine Ryan picked your post to be featured on our #OMHGWW and now we have Pinned and shared! 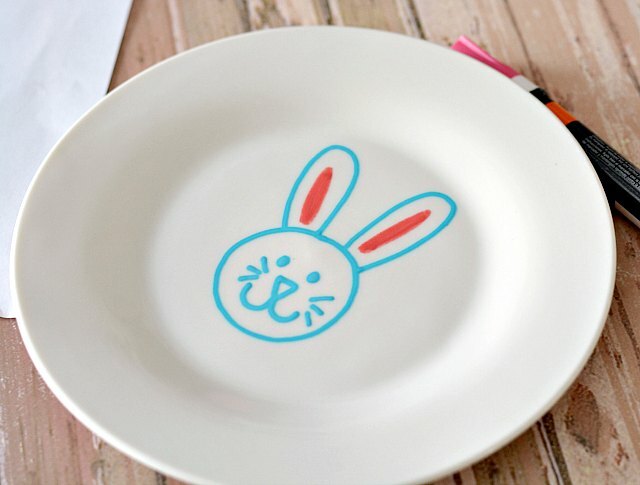 These Easter plates are adorable, Camille! I’m super happy you linked these up to the party this weekend! Thanks so much Kristi! And thanks for hosting. What a great idea! Love how pretty they turned out. Visiting from Craftastic Monday party. Love the palette — great colors. What fun to eat an Easter meal on those! It’s perfect for that tween age. Such a cute idea! I will need to pick up an inexpensive large plate/platter and some markers soon. A platter would be cute! Both my daughter will love it. Thanks for sharing!